Loyola was born at his family's ancestral castle in Guipúzcoa and as a youth served as a page at the court of Ferdinand V, king of Castile. He later entered military service under Antonio Manrique de Lara, duke of Najera, and was seriously wounded in 1521 at the siege of Pampeluna (now Pamplona). While recovering, he read a book of lives of the saints, with the result that he resolved to devote himself to a spiritual life. In 1522 Loyola retired to a cave near Manresa, in Catalonia, and lived in great austerity and in prayer for ten months, after which he undertook a pilgrimage to Jerusalem. After his return to Spain in 1524, Loyola began his education, entering a grammar school in Barcelona. He studied at the universities of Alcalá de Henares and Salamanca in 1526-27, and in 1528 he matriculated at the University of Paris. There, in 1534, he formed the pious fraternity that later developed into the Society of Jesus. In 1537 members of the fraternity proceeded to Rome, where they received the oral approval of Pope Paul III, who gave official confirmation to the order in 1540. 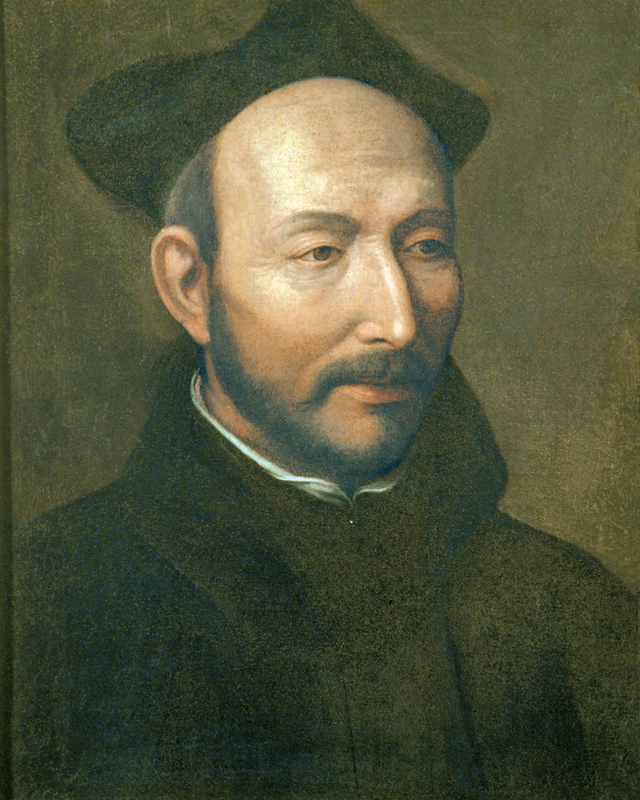 The following year Loyola was elected first general of the order. In addition to administering the affairs of the rapidly growing order, he devoted his time to writing the Constitutions of the Order, completed after his death, July 31, 1556, and never essentially modified, and to the completion of his Spiritual Exercises . The Spiritual Exercises were formulated by Loyola during his retirement at Manresa, using as a model Exercises for the Spiritual Life (1500) by the Spanish abbot Garcia de Cisneros (1455?- 1510). The work is essentially a manual for meditation on the meaning of life and on the development of a way of life. The meditations are divided into four periods or weeks: the first dealing with the reformation of a person affected by sin; the second, with the conformation of the reformed person to the model of Christ; the third, with the strengthening of the person so conformed through appreciation of the passion and death of Christ; and the fourth, with the transformation of the whole person in identification with the risen and triumphant Savior honoring God the Father. The Spiritual Exercises form the model for most Roman Catholic missions and retreats. Loyola was canonized by Pope Gregory XV in 1622. He is venerated as the patron of retreats; his feast is celebrated July 31.